Is Nuclear Power Glowing or Just Green? An interesting conversation happened on twitter last week, including a remark from Dr Karl Kruszelnicki in reference to nuclear power, in response to another tweeter. The other tweeter is someone I’d run across recently when discussing the nuclear arena, so I decided to enter the discussion using my personal account. Twitter has what I see as an advantage in the 140 character count, as people can’t waffle on, and therefore get to the point (supposedly). On the other hand, it is really hard to have a detailed, productive discussion. In a previous discussion about nuclear with the same party, it started to get a little heated, then a third party joined in and the whole thing became a waste of time. In these discussions, I tend to take a pretty neutral view, as I do with battery storage. Its important to have the conversations and have multiple viewpoints, because sometimes its enlightening, and sometimes it can change an open mind. As one of my first points, I referenced a recent article on Renew Economy, which sought to dispel some myths about nuclear as a low-carbon option. A lot of this I had heard before, but the author, Mark Diesendorf, clearly put a lot of research into compiling the numbers for that article. If you look at the comments on that article, there are a lot of people also fairly derisive of nuclear. That is probably not a surprise when the site is primarily focused on Renewable Energy, and I found myself nodding along to some of it. Thing is, I’m not anti-nuclear power. Not at all. I’m a Sci-Fi fan and in a lot of that material, there are nuclear reactors involved. Some of them are even man-portable reactors designed to power awesome stuff like exoskeletal armour, mecha, or spacecraft. Similar to other thermal power stations like coal, we have a production facility generating heat, with turns water into steam and drives a turbine. This needs cooling towers to let the steam escape, and you can see a bunch of wires carrying the power away. Where the nuclear power plant differs is that the fuel lasts longer. Rather than jamming coal in there regularly to keep the home fires burning, the uranium rods in the nuclear facility will last for years. Under a controlled nuclear reaction, the heat produced is what creates the steam to drive the turbines and crank out that sweet, sweet electricity. And now you’ve probably just asked the question about how dangerous the radioactive material is, and you’re right. There are potential dangers in nuclear power that other power types don’t face. 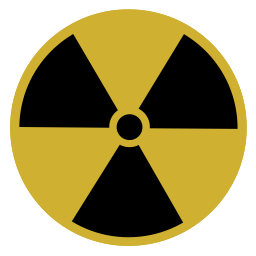 The Wikipedia entry on the topic of nuclear power plants clearly outlines the dangers and controversies around nuclear power. I’ll let you read it there, but suffice to say nuclear power plants are large, complex bits of equipment. Humans are human. Accidents happen, if rarely. Even when things are running well, and safety measures are stringent, you can have episodes like Fukushima, where Mother Nature had a hangover and tripped over the rug on her way to get more aspirin. So, as far as places-to-avoid-human-error go, nuclear power plants are right up there. Throw in the production of weapons-grade radioactive material using nuclear power plants, and it looks a little scary. Supporters will point out that there are nations around the world who use nuclear power like France (74%) quite happily, and other countries in Europe who have a high proportion of their electricity generated from nuclear power. They’re also right – carefully managed, nuclear is a great source of low-carbon power. I say “low-carbon” because you still need to dig stuff up out of the ground. That is also true of solar panels (silicon and metals), wind farms (steel) and any form of energy generation you like. 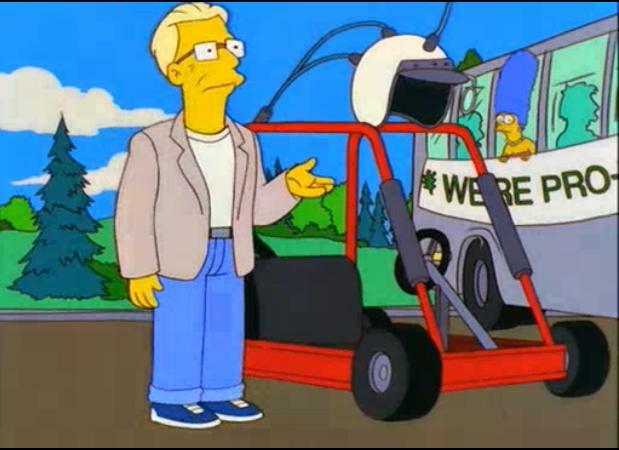 Everything has a price until we learn how to run things on our own sense of self-satisfaction like this guy (Simpsons fans know where its at). There are also some options for progress in the nuclear power in terms of better reactors, like the Integral Fast Reactor (IFR). More efficient than traditional reactors, with less waste and fewer safety issues (including less weapons-grade material). Yet, there isn’t a single commercial IFR operating in the world, due to cost, and a few red flags about safety that might actually be red herrings. For now at least, the IFR is the pipe dream for nuclear proponents. Back on topic: so, I had a twitter discussion about nuclear power in general, versus renewable energy specifically. I found it stimulating and somewhat enlightening, via some links that were shared. My adversary stated quite clearly he wasn’t anti-renewables, instead believing that renewables can’t provide all the power required in growing economies, and would need help in the form of stable, low-carbon nuclear. The discussion finished amicably, and I went and did a bit of reading about nuclear power, particularly in Europe. After all that, I thought it best to document what nuclear power means to me, and how it compares to the renewable options in the current climate. I was particularly interested to explore how I felt about it here in Australia, after some time to think. Let’s forget about the safety thing for a moment, and assume we’re pretty grouse at building and maintaining nuclear power plants. No worries, she’ll be right! One of the primary drivers of change is economic. Fact. People generally don’t stop doing a thing until another thing comes along that is better value for money, or at least drops into their available budget. As a simple example, I remember when power windows were a luxury item on a car that I couldn’t afford. These days, not many production cars still have window winders – technology gets cheaper, more people adopt it, and it becomes commonplace. Nuclear isn’t getting cheaper, at least not in terms of capital cost to establish. Nuclear power plants cost billions to set up, and with the recent accident at Fukushima, financiers are understandably nervous about pouring that sort of money in. The European nuclear projects under construction are well over budget and running late. China is gearing up with more nuclear, but finance is never really a thing with them, and besides which they’re also sinking a whack of dosh into renewable energy development, while searching for answers to their fossil-fuel based pollution issues. Once the nuclear plant comes online, it is actually a very cheap power source, but it still has to be subsidised heavily to pay interest on all those loans in the meantime, and over the lifetime of the facility. In Australia, where the only reactor we have is for research and medical purposes, nuclear power has never really taken off for the reasons stated in that wiki link. This is another blow to the nuclear lobby, in that while we have oodles of “yellowcake” (uranium) in the ground, and space to build reactors, to do so is widely regarded as political suicide. Mining of uranium in nature reserves and national parks, particularly areas under the guardianship of Aboriginal and Torres Strait Islander peoples, is a move that most politicians won’t countenance. Perhaps that is more emotional than scientific, but if we’re looking to a more habitable planet, maybe we want to stop killing trees and such. Even if the longer term benefit is wiping out fossil fuel usage, what are we saving in that scenario? In addition, centralised Nuclear power still suffers the same costs as coal for delivery. Poles and wires, substations, links in a chain that is infrastructure and therefore requires maintenance. You could address some of that by building more power stations of smaller capacity in the appropriate areas, but then the cost per kWh rises due to base capital cost to build. Smaller does not always mean cheaper on a unit level, and you’re still required to get infrastructure built for users to get the power. I still haven’t exactly dismissed nuclear as an option, but when you’re talking about the political and financial hurdles it faces in Australia, it looks like a very difficult climb. In a lot of ways, nuclear power has missed the window in Australia, and its hard to see how it can catch up. This is particularly true when we look at the potential for renewable energy. The fact is, renewable energy is getting cheaper, and more widespread, every day. Critics roundly mock the subsidies needed to establish “free” energy, while failing to look at their own backyard, often strewn with coal that the taxpayer funds. Politically, fossil fuels are used as a battleground for jobs – particularly the mining industry – though I often wonder how many of those jobs are funded by the taxpayer, as a percentage. 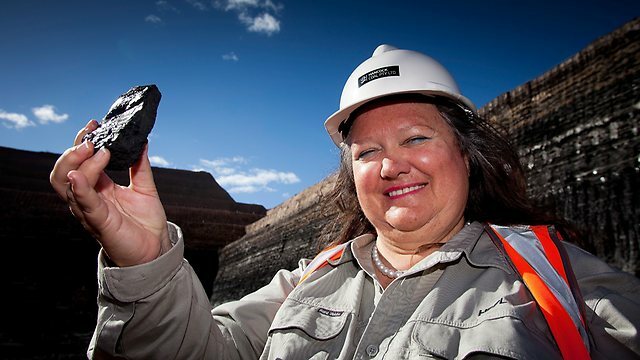 The mining magnates seem to fluctuate between reaping massive profits, or crying poor and sticking their hand out. Nice work if you can get it. In Australia, we’re seeing in increase of large scale solar farms, as well as wind farms. There is even some solar thermal around the place, while our wave power tech is getting noticed around the world. Jeez we’ve got some smart units in this little nation. So, with the price of solar panels dropping significantly as per Swanson’s Law, and other renewable energy efforts cranking up, we need to look ahead to the year 2020 in the shorter term, because the next step is just around the corner. Storage has been given a shot in the arm with the announcement of Tesla Powerwall, and it has allowed many other players to stick their hand up and remind people they have battery systems, too. The price of storage is also falling, and going to fall further. We’re talking about a multi-billion dollar industry that sits ready to launch in households across the world, not just Australia. We’ve got a population largely distributed along the coast, but also rural communities who struggle for services and maintenance of their power and communications networks, not to mention roads and transport infrastructure. So its natural to start there, I reckon. We already have people who live independent from the power grid, because they were faced with a location with no existing infrastructure. In some cases, the cost to run power would be hundreds of thousands of dollars, just for an individual home! So we scale that up, like the moves to take suburbs or whole towns off the grid. This can also translate into backup power for towns at the end of the line, or in known trouble spots where natural hazards or aging equipment may cause issues. The power sources can be any form of renewable energy, provided housing efficiency measures are put in place, along with battery storage of suitable size and chemistry. There will be teething issues, but these places stand to benefit the most in the shorter term. The next step is to establish suburban micro-grids, using solar + storage in suburban areas, lowering the cost of infrastructure and maintenance longer term. Companies like Reposit Power are already looking into enabling this technology in Australia. As an aside: I’m bemused that we don’t have a situation like San Francisco, where solar panels are now required by law on buildings 10 storeys or under. With installers like Natural Solar getting into consumer-grade power storage for solar, this will snowball, and allow consumers to wrest back some of the control from the grid. That is, of course, if “the grid” exists as more than a marginal concern for many users in these neighbourhoods of the future. The grid will likely become an enabler for local people to share a power community, all things going well. Perhaps even export their power if another grid needs it. And traditional, centralised power? Delivering electricity from hundreds of kilometres away will have its place. For a time. In light of the adoption rates of storage, it cannot be otherwise. However, in the wide brown land, with ample sunshine and inflated electricity pricing, it seems more likely that our independent streak will gradually wean us off big network power. As a primary feed, anyway. Having a power station hundreds of kilometres away will seem ludicrous, when you can make your own right on your roof, or the guy down the street can do it for you. The poles and wires of yesteryear will gradually be marginalised; a chorus line dancer grimacing out a smile, while the lead actors renewable energy and storage bow at the front of the stage. Here in Australia, it probably won’t matter what is burning inside that power plant. Coal is dying, while trying to take us all down with it. Nuclear is the Delorean of our time – everyone knows its cool, and can do some great things. Its never going to appeal as a real option to more than its collection of fans, and with its inescapable history in Australia there for all to see, it won’t be able to get back to the future on current projections. You don’t need to be a nuclear physicist to figure that out.